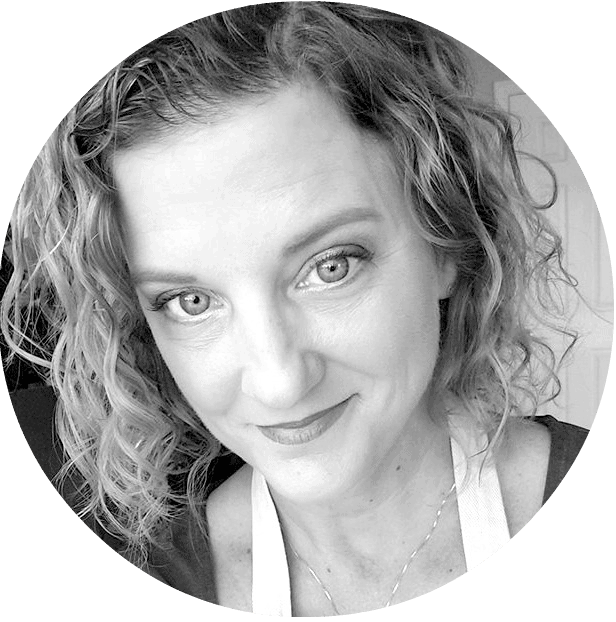 Here is a classic …inexpensive, relatively easy, and so so special. The sauce is especially exquisite. 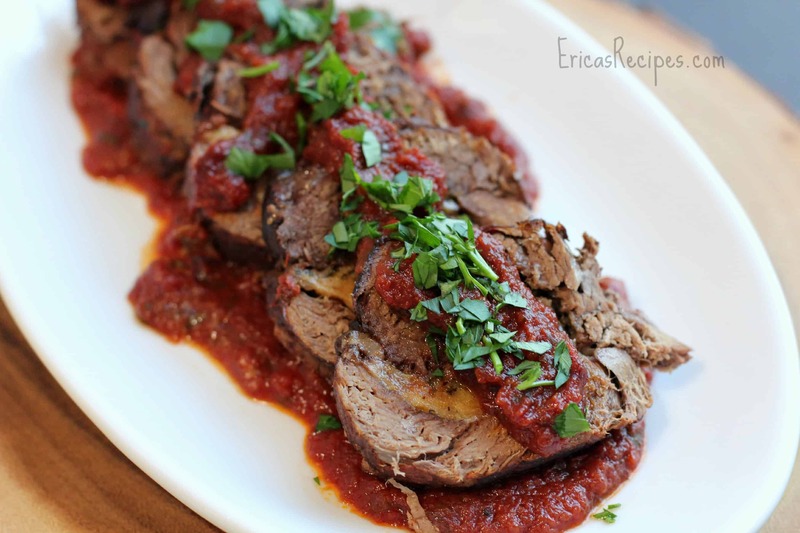 Homemade marinara, slow cooked with a stuffed steak – it is pure magic. So obviously, this dish must be served with bread for dipping in this amazing sauce! I have made this over the years with both flank steak and top sirloin. Of the two, I prefer flank steak for tenderness and flavor, but top sirloin is much more affordable. These photos were taken on an occasion where I used top sirloin …it was on sale at the grocery store that week. Once rolled, this was far too long for my pan, so I cut it in half and just made sure to first sear the ends well. This kept the stuffing from leaking out as it cooked. Sunday dinner perfection! Heat oven to 350. 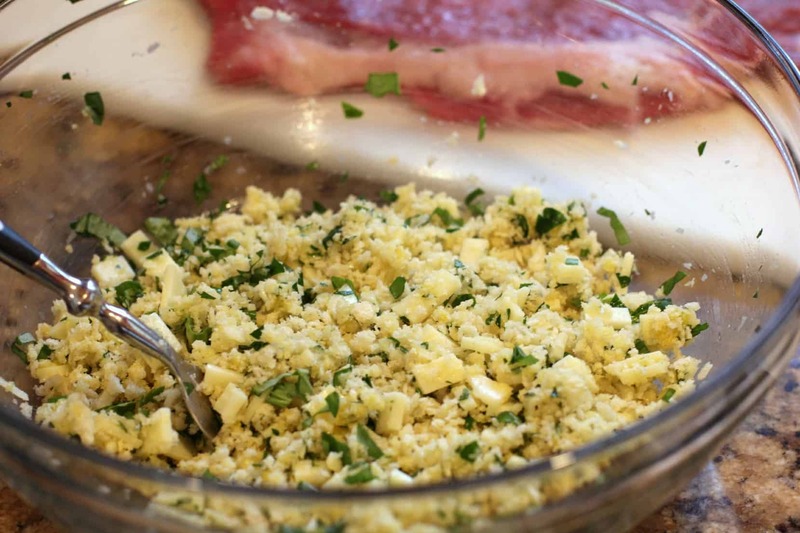 Stir together the first 8 ingredients (through basil). Season with a little fresh cracked pepper. Lay steak out. Season both sides with salt and pepper. 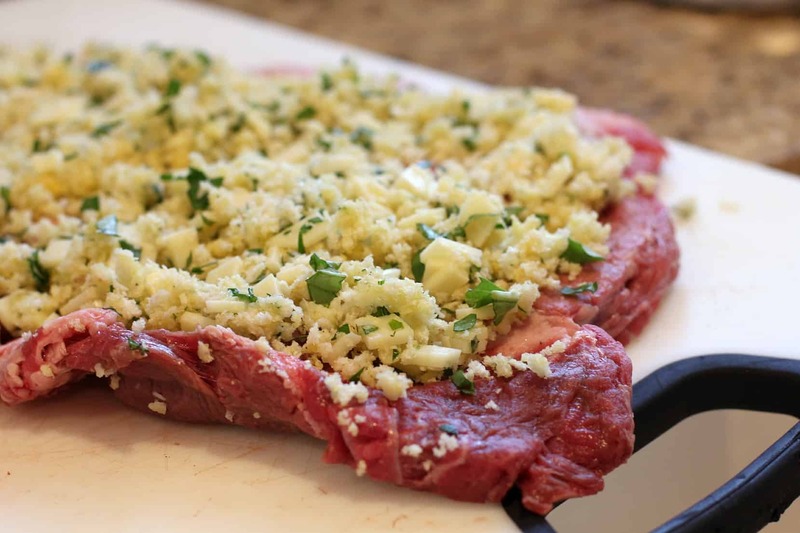 Spread stuffing evenly over the steak keeping an inch away from the edges. 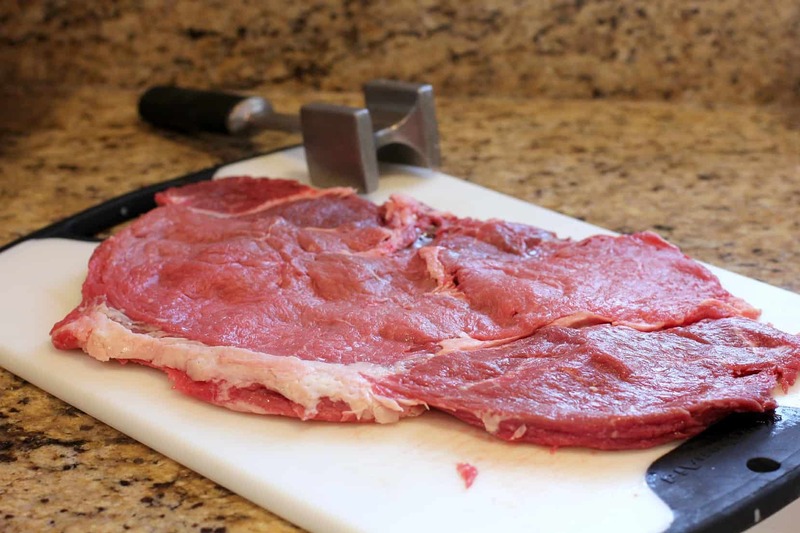 Roll the steak up so that once the roast is done it will be sliced against the grain of the meat. 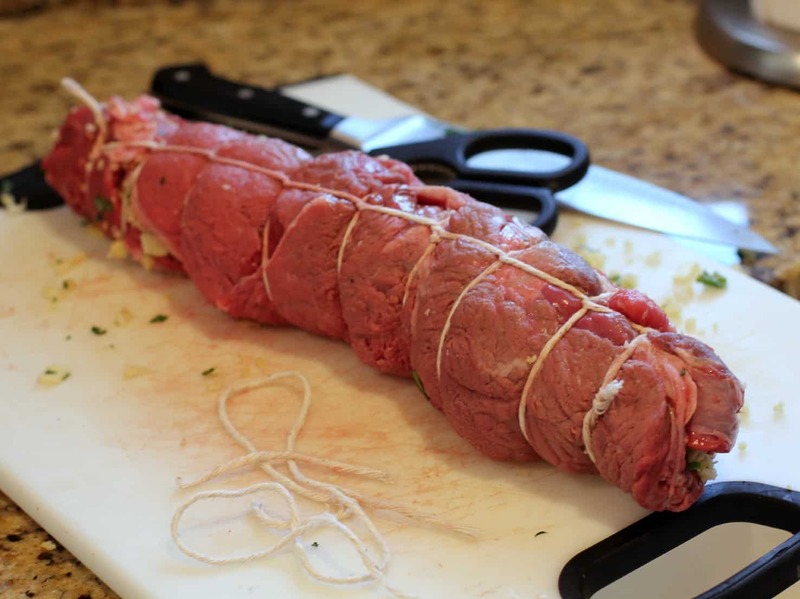 Tie with butcher’s twine to seal in the stuffing. Heat a couple tablespoons oil in a large saute pan with a lid. 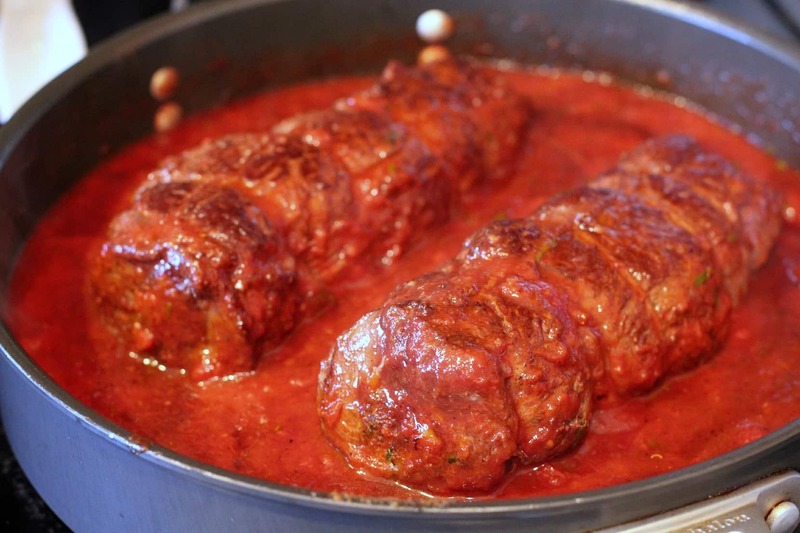 Sear the braciole all around. Add the wine, then the marinara. Get in with a wooden spoon and scrape up the browned bits off the pan. Cover, put in the oven, and cook 1-½ hours basting every ~20-30 min. 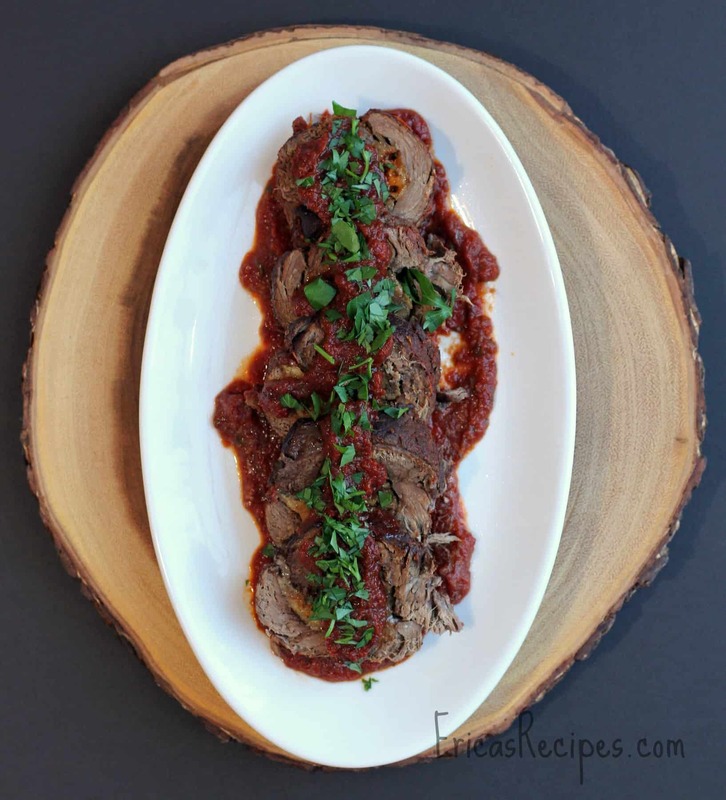 Remove the twine, and serve sliced with the sauce spooned over. Serves 4-6.